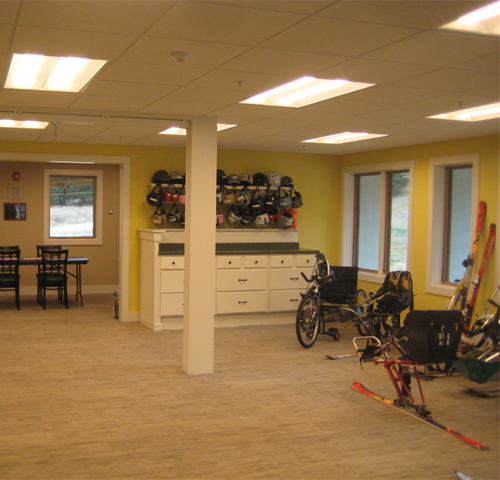 The lower level of the lodge houses the State Headquarters and Pico Program Area for Vermont Adaptive. There is a large workshop and storage space for all adaptive equipment, a quiet room to relax, and multiple offices. 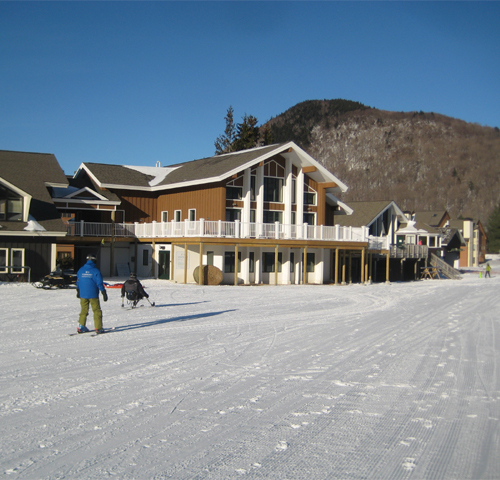 The upper level of the lodge is occupied by the Pico Ski Education Foundation. 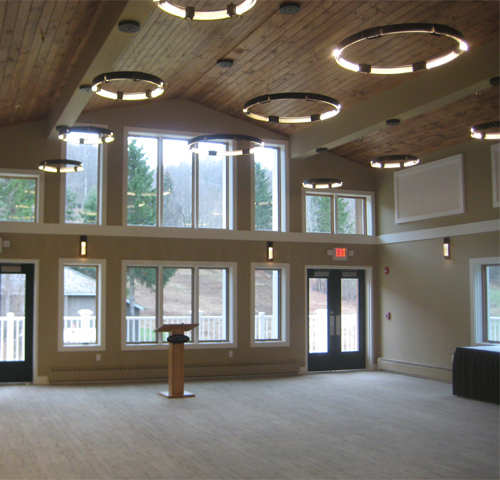 The Great Room focuses its view on the mountain and will be used for various community and educational functions. The second floor also contains a smaller event room, offices, and a conference room.